The latest results of an annual survey into the cost of watching football matches across 166 Premier League, Football League, Conference Premier, Scottish Premier League and Scottish Football League clubs have been published. The headline statistic - that the cost of the cheapest adult ticket in the four top English leagues has risen by 11.7% - has set media tongues wagging and bought criticism from the Football Supporters' Federation amongst other supporters' groups. Fans of Arsenal have the most to be concerned about - they hold the record for the most expensive match ticket (£126) and the most expensive season ticket (£1,995) - whilst the Gunners' cheapest season ticket is also more expensive than any in the survey, other bar the most expensive from Tottenham Hotspur and Chelsea. In the Championship, the cheapest 'day out' - combining the cost of the cheapest match ticket, cup of tea and pie - is at Blackburn Rovers, where a grand total of £22.50 is accrued for an adult. An indication of the most expensive day out - replacing the cheapest match ticket with the most expensive - puts Ipswich Town as the dearest club to visit (£51.70 for ticket, tea, pie and programme). A visit to Portman Road also works out as the most expensive on average, whilst a game at the King Power Stadium to watch Leicester City would dig a hole £31.50 deep in the average pocket, ranking them mid-table. The Foxes do have, however, the third most expensive 'dearest ticket' match day cost but this is offset as the £22.80 cheapest day out ranks them as the third cheapest on their day. The data - which in the Championship is incomplete for four clubs - gives a sound indication of the cost of watching football and should reassure Foxes' supporters whose club are doing a fair job of managing costs at either end of the scale. 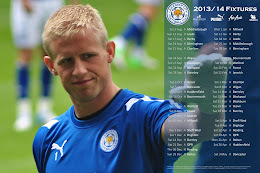 Compared to last season, Leicester have jumped five places in 'cheapness'. What this survey also demonstrates are the vast differences in the costs of Championship football: there is a difference of £503 between the most expensive and cheapest season tickets in the league. The scale may not be the same in the Championship as in the top flight, but the gap between those clubs charging the most and the least remains vast. For more information on the BBC's Price of Football Survey, including full datasets, visit the BBC Sport website. Compare also the data from last season's survey, published on this blog.